Chittorgarh, in Rajasthan, huddled on the banks of Rivers Gambheri and Berach, bears witness to a number of valiant battles from the pages of history. 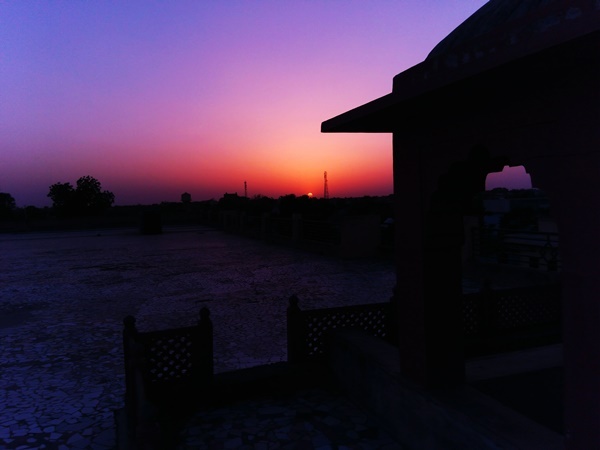 A melange of Rajput history and cultures, the town is painted with vibrant shades of antiquity and heritage. Bearing witness to a number of significant wars and battles over the years, Chittorgarh effortlessly connects with the modern trends without leaving behind its cultural roots. Formerly the capital of the Sisodia Dynasty of Mewar, Chittorgarh surely lives up to your expectations of an idyllic holiday destination, and enlisted here are the must-visit places that you must check out while on a trip to the town. By Air: The Dabok Airport at Udaipur, located at a distance of 80 km from the town, makes up for the nearest airport and is well connected to the rest of the country. By Rail: Chittorgarh Junction or Chittorgarh Railway Station is the busy and bustling railhead of the town. Regular trains to Chittorgarh are available from any major city of the country. By Road: Chittorgarh is well connected to other major cities of India via regular buses. Regular buses are available from its bus terminus, the Chittorgarh Bus Junction, which is located in the heart of the town. The best time to visit Chittorgarh would be in the winter months of November to February, where the temperature is pleasantly moderate, ranging from an average of 5°C to 20°C. Dating back to the 7th century, the Chittorgarh Fort is not just one of the largest forts in India but also a UNESCO World Heritage Site. The main attraction of the monument is the three-storeyed pristine white Rani Padmavati's Palace built on the banks of a lotus pool. With a sheer delicacy of design and beauty of the striking milieu, it is set within the fort. The fort itself is ornately crafted with intricately carved Jain temples, decorative pillars, reservoirs, underground cellars and a lot more exquisite architectural exhibits. The fort walls resonate with the tales of Rani Padmini and Raja Ratan Rawal Singh legendary love story. Visit the place and soak in the grandeur and history of the fort. Amongst the many architectural marvels and historical edifices that dot the well-known town of Chittorgarh, Padmini's Palace is the most significant amongst all. Named after queen Queen Padmini of Chittorgarh, the palace bears witness to the well-known impeccable beauty and intelligence of Rani Padmini. Of elaborately etched palace walls with glorious Rajput paintings and intricate detailing, the Padmini Palace stands symbolic of Rani Padmini's exceptional valour and bravery. Bringing to view the brilliance of the classic Rajasthani architecture, the Meera Temple in Chittorgarh is the most notable one. Symbolic of the fabled love story between the Hindu mythological characters Meera and Lord Krishna, the temple today stands as proof of the love and devotion they once shared. The temple is of remarkable religious significance and is dedicated to the Hindu deity of Lord Vishnu. It also houses a few other significant Hindu gods and goddesses. Erected by Rana Kumbha, this sacred temple is one of the most spiritual sites and a revered pilgrimage for devotees all around the globe. Regarded as an epitome of modern architecture and named after Raja Maharana Fateh Singh, the Fateh Prakash Palace boasts of an elaborate idol of the Hindu mythological figure of Lord Ganesh, along with a majestic fountain. The entire palace is decked up with an array of wall paintings and murals. Boasting of Rajput history, culture and architecture, the palace is now a museum housing some of the finest and mesmerising sculptures, paintings and indigenous historical artefacts.